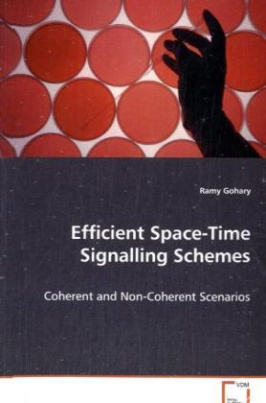 This monograph presents efficient techniques forcommunicating over wireless multiple-input multiple-output (MIMO) frequency-flat block-fading channels.For coherent systems, in which full channel stateinformation (CSI) is available at the receiver, butnot at the transmitter, it shows that lineardispersion codes that are constructed from largerandom unitary matrices achieve minimum mean squareerror and minimum pairwise error probability.Furthermore, these codes achieve maximum mutualinformation between transmitted and received signals.For non-coherent MIMO systems, in which no CSI isavailable at the transmitter or the receiver, thismonograph addresses the design of Grassmannianconstellations that enable the high signal-to-noiseratio non-coherent ergodic capacity to beapproached. The design of these consetllations isbased on a perturbation analysis that shows theappropriateness of using the chordal Frobenius normas a design metric. Finally, the monograph presentsa non-coherent detector whose performance iscomparable to that of the maximum likelihooddetector, but it requires significantly lesscomputational effort.